This was written by Sherlock. 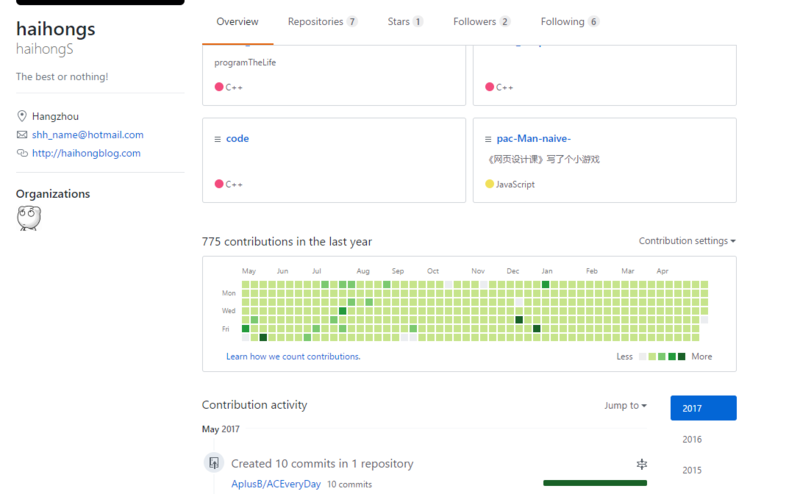 Posted on 星期六, 五月 13, 2017, at 23:22. Filed under 个人日志, 生活杂谈. 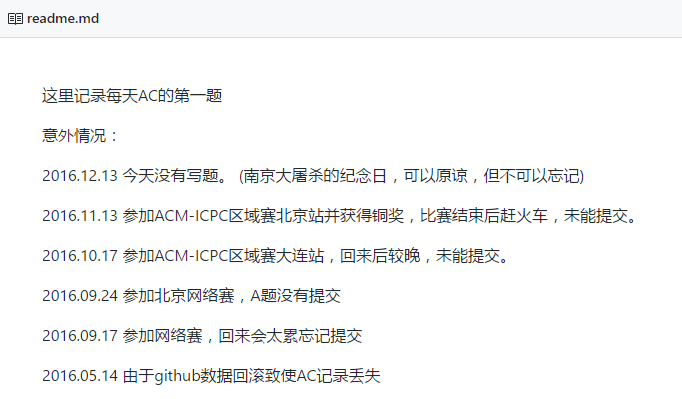 Tagged AC, Github, 坚持. Bookmark the permalink. Follow comments here with the RSS feed. Post a comment or leave a trackback.